This year, the Bowdoin College community celebrates the ninetieth birthday of the Reverend Dr. Martin Luther King Jr.
"Dr. King had a remarkable impact across generations and time, and in remembering him, we acknowledge the work that remains and the power we each have to build a better world. This series of events and special video help us reflect on both a legacy and a life, dedicated to justice and to a better America." Events highlighted in yellow are free and open to the public. The Library will be screening films throughout the day on January 21, 2019 in honor of Dr. King. Please join us! The famous March on Washington speech of 1963 will be shown during the lunch hour. This viewing will be available in closed caption. Professor Tess E. Chakkalakal will launch a discussion of Shelby Steele’s 1990 book, The Content of Our Character: A New Vision of Race in America. Steele’s controversial book was one of the first to consider the legacy of King's ideas in the context of the rise of identity politics, particularly on college campuses. In his "The Other America" speech, delivered at Stanford University on April 14, 1967, King addressed race, poverty, and economic justice. There will be an opportunity for student-led discussions and reflections following the speech. Runtime: 47 minutes. 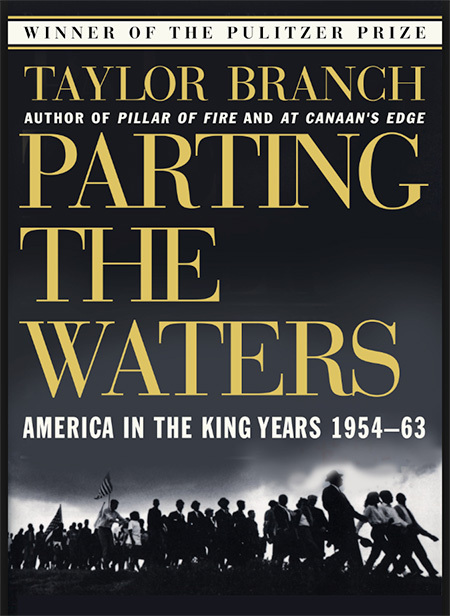 Author and historian Taylor Branch's landmark narrative history of the civil rights era, America in the King Years, has been compared with other epic histories such as Shelby Foote's The Civil War and Robert Caro's multi-volume biography of Lyndon Johnson. The first book of Branch's trilogy, Parting the Waters: America in the King Years, 1954-63, won the Pulitzer Prize and numerous other awards. Branch's other accolades include the National Humanities Medal, the Dayton Peace Prize, and a MacArthur Genius Grant. There will be a reception and book signing immediately following the lecture and Q&A. "You are as responsible for what happens in Birmingham as you are for what happens in Brunswick." In May of 1964, Bowdoin’s Political Forum, a non-partisan student organization, brought King to the College as part of the group’s effort to invite black civil rights leaders to campus to inspire students to action. As part of Bowdoin’s observance of Martin Luther King Jr. Day and upcoming Black History Month, a recording of the speech can be heard here. Copyright: Estate of Dr. Martin Luther King Jr. All rights reserved. Homepage and banner photos appear with permission from the Bowdoin College George J. Mitchell Department of Special Collections & Archives. Homepage overlay graphic is "A handwritten copy of ‘Letter From a Birmingham Jail.’ AP Photo/Richard Drew." Archival recordings from the 1964 campus conversation with King were recorded by WBOR, and provided by the George J. Mitchell Department of Special Collections & Archives. The archival audio recording of King's speech at First Parish is owned by the Estate of Dr. Martin Luther King Jr.